Gene therapy is a branch of medicine, where treatment is performed by replacement of faulty gene by delivery of the new gene into the patient body without the use of any drugs or surgery for treatment. The new gene rectifies mutation responsible for the disease. The gene therapy concept came in 1972 from the paper titled “Gene therapy for human genetic disease?” authored by Friedmann and Roblin. The first success story of gene therapy came in 1990, where a four-year-old girl was treated suffering from Adenosine deaminase deficiency (ADA) – Severely combined immunodeficiency disorder (SCID). Somatic gene therapy– This is performed in cells other than which produce eggs or sperms. The effects of this therapy are not hereditary. Germline gene therapy– This is performed in cells which produce eggs or sperms. The effects of this therapy are hereditary. 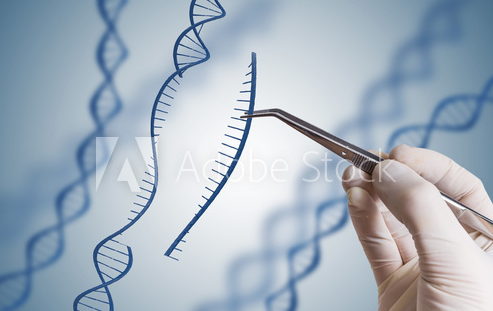 Gene augmentation therapy – It is used for diseases that involve mutation of the gene. Gene inhibition therapy– It is used for diseases like infectious, cancer and ones which are inherited that occur due to improper gene activity. Killing specific cells– This approach is used for cancer cells, where DNA is delivered into cells, which destroy cancerous cells. The gene or DNA is transferred with the help of vectors like virus, bacterium or plasmids. Recently clinical trials on others vectors are being done like stem cells and liposomes. Till now gene therapy has shown its success in immunodeficiencies, hereditary blindness, hemophilia, blood diseases like thalassemia and sickle cell disease, cancers, metabolism disorders and also in Parkinson’s disease. Gene therapy is very slow emerging treatment but research like developing safe and effective vectors, targeting various cells and reducing immune responses, to deliver new gene at the correct sight and ensuring its working will make it very successful in future.